The weather is getting cooler! Get some new clothes to keep you warm with this great new promotion! 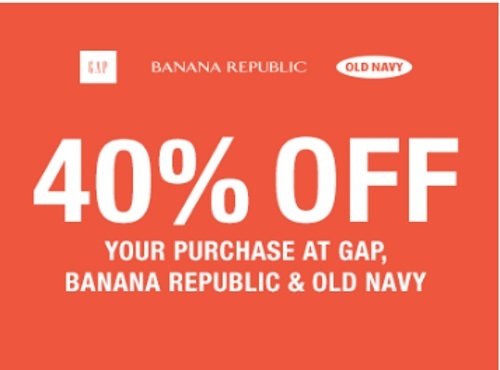 Save 40% off online at Gap, Old Navy and Banana Republic! As always you can combine items from all three stores into one order. Enter the promo code COZYUP at checkout. Offer ends Wednesday, September 21 at 11:59pm ET.